With Easter just around the corner, I've got a big family dinner on my mind. We eat a lot on Easter. Whether I'm at my in-law's or with friends or like this year - with my sister's family (Hooray for sister neighbors!) - we will eat. A lot. I like to make pretty food at Easter. Food that tastes good, but that is also really pretty on the table. I love fresh flowers and pink and green and yellow. It's the first holiday after the winter ends and I love to celebrate it with fresh, Spring colors. 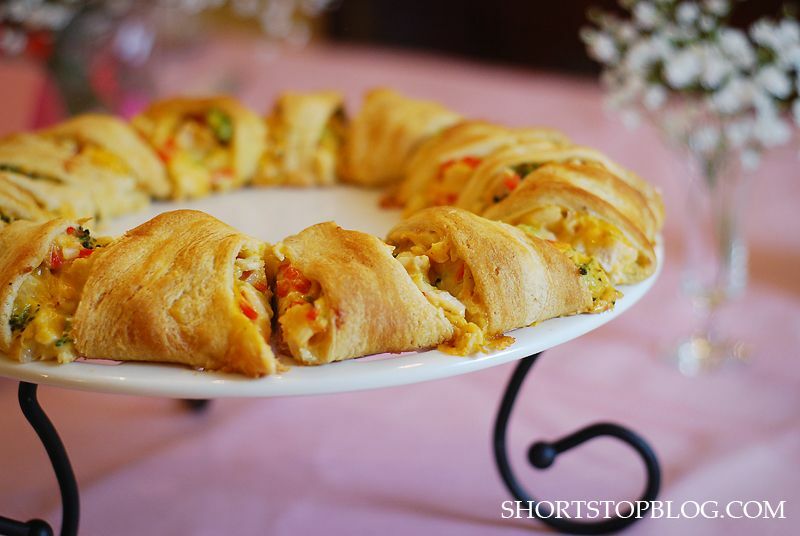 This Chicken Crescent Wreath is a great addition to an Easter meal. It makes a great appetizer, a perfect brunch dish, or even as a heavier side to a big ham dinner. I have had so many of these chicken wreaths over the years - some with cream cheese, some with various nuts and vegetables, some made with bread dough - but this one is my absolute favorite. My mother-in-law has been making this for years, and every time she makes it, I love it more than I did the last time. And, it is SO easy. And, voila! A perfect Chicken Crescent Wreath. *Side Note: If you don't like water chestnuts, I get that. I'm not usually a big fan either. But, in this Chicken Crescent Wreath - they add the perfect crunch. You can substitute other nuts (pecans, walnuts, almonds) if you prefer. Just know that if you try the water chestnuts (Be brave, Be brave! ), they won't taste how they taste in Chinese food. If you're looking for a dish to take to a big Easter dinner or an Easter brunch, this is a great one. It looks way harder than it is. It's got that "Oooh, Ahhh" factor. 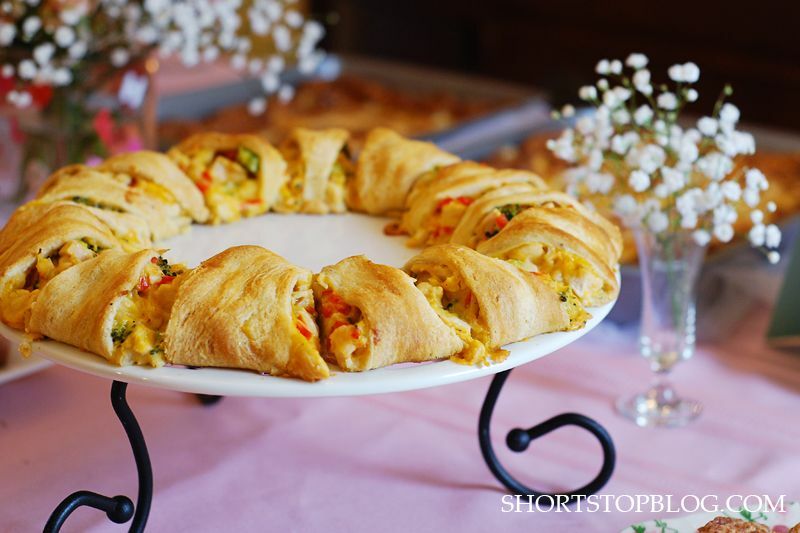 Arrange crescent rolls on a 12-in. pizza (or other round) pan, forming a ring with pointed ends facing the outer edge of pan and wide ends overlapping. Combine the remaining ingredients; spoon over wide ends of rolls around the center of the "ring". Fold points over filling and tuck under wide ends (filling will be visible). My grandma does this with ham and broccoli. I love the chicken spin!